Synthetic Roofing - Forest Specialties Inc. Some homes were created with the promise of a slate roof in mind, DaVinci Slate delivers on that promise with its astonishing versatility. Our tile are engineered to be lighter, to resist impact and to maintain their color longer. It’s hard to beat Mother Nature, but DaVinci has done it. Inspire by Boral – Composite Roofing that provides the industry’s finest artistry through natural textures and unique color palettes that will enhance your home. When deciding on what roofing material to use on your home CeDUR Polyurethane roofing shakes are your best option. 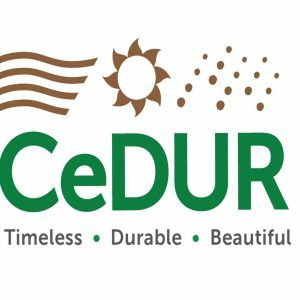 Engineered using one of the most durable manufacturing processes available, a CeDUR roof will provide lasting value and superior performance while adding long term value and beautiful curb appeal. Authentic wood beauty, low maintenance, beautiful texture, extreme impact and fire resistance, a CeDUR roof is exceptionally stunning and durable.